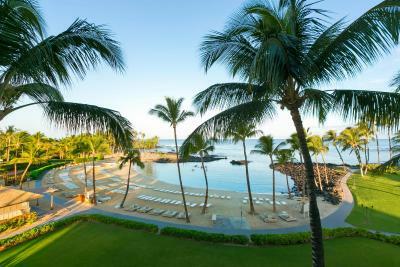 Lock in a great price for Fairmont Orchid – rated 8.7 by recent guests! The facilities were excellent. We liked having the option to walk off grounds and explore. The healthy food choices were benefits to us. We enjoyed the local island cooked fish and sushi choices. The property was really beautiful, lounge was nice. It was very convenient to have the beach and restaurants right there on the property and to be able to take beach towels from the front. Also nice to have the option to use the guest parking lot for free, which was very close to the hotel. Everything was really great. This place is amazing. The staff was wonderful. They were very helpful and polite. Thankyou! Our entire stay was great. It was clean, comfortable, and the staff was friendly. It wasn't over crowded and we hardly had to wait in any lines for food or drinks. Hotel beach was really nice and not too busy. There was an own section for sea turtles which you could watch. Staff was really nice and helpful. The Brown Beach House restaurant exceeded our expectations. 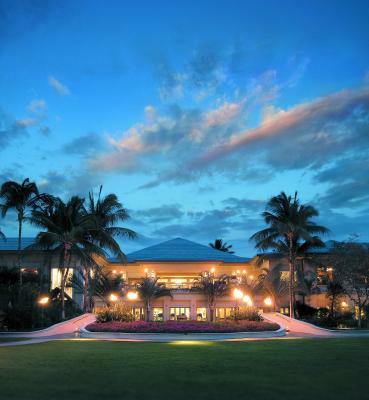 I love the Fairmont Orchid and I was excited to bring my family for a visit. Overall, we had a lovely time and we will be back! I especially appreciated the thorough housekeeping service and the turn-down service with bottled water and a tidy room was lovely. Almost everyone we encountered was charming and kind to our kids. And the food and drink were delicious! The tennis facility was outstanding as was the tennis pro. The rented ocean front cabana was fabulous-as well as the attendant. The spa and personnel were wonderful. The grounds were serene, lush and extremely well cared for. The pool and surrounding area was perfect. The restaurants were nice and the apps and drinks at the beach front were good. 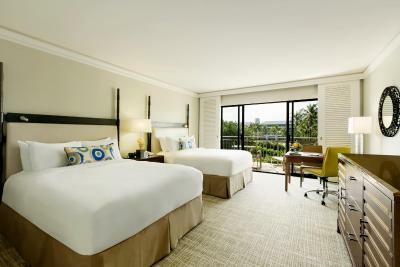 Fairmont Orchid This rating is a reflection of how the property compares to the industry standard when it comes to price, facilities and services available. It's based on a self-evaluation by the property. Use this rating to help choose your stay! 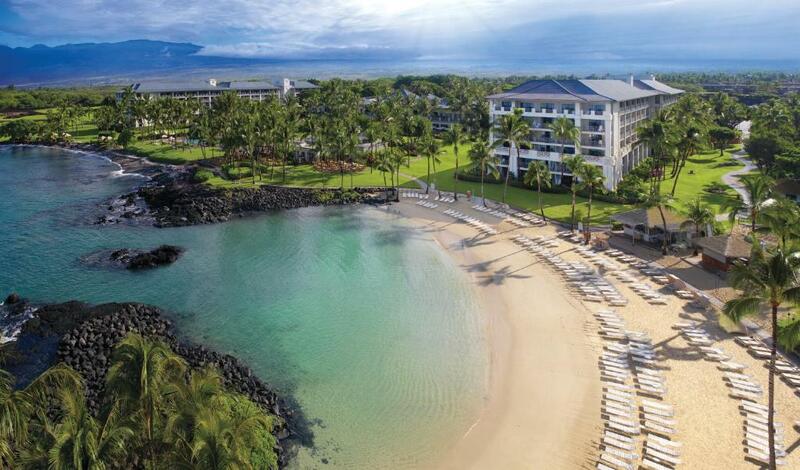 One of our top picks in Waikoloa.Located among 32 oceanfront acres on the Kohala Coast, the Fairmont Orchid is a spectacular resort offering luxurious accommodations and extensive resort facilities to the discerning traveler. 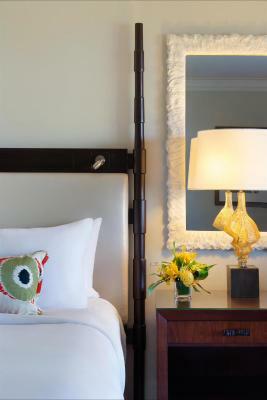 The guest rooms feature air conditioning, a TV with cable channels, a refrigerator, a coffee machine, an in-room safe, and a writing desk with a chair. 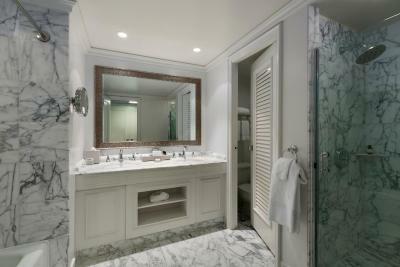 The private bathroom includes a bathrobe, free toiletries, a hair dryer, and ironing facilities. ‘Anaeho'omalu Beach, or A-Bay, is 5.6 mi away, while Waialea Bay is 6.2 mi away. 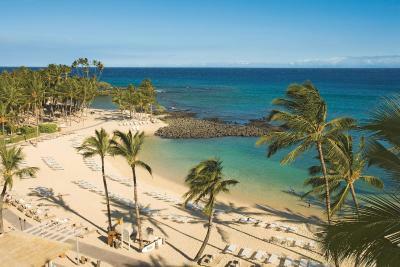 When would you like to stay at Fairmont Orchid? This room features a private lanai with views of the garden. 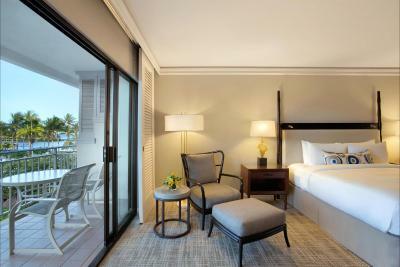 Featuring a balcony with a partial ocean view, this room includes a cable TV, a seating area and an private bathroom. This room features an angled partial view of the ocean from the balcony. 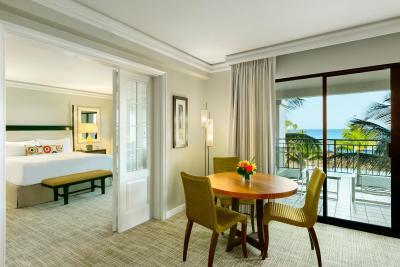 This room features a view of the ocean with a balcony and cable TV. This room features an angled view of the ocean from the balcony. Cable TV is featured in this room and a large work space is included. The Room provides an angled view of the ocean. 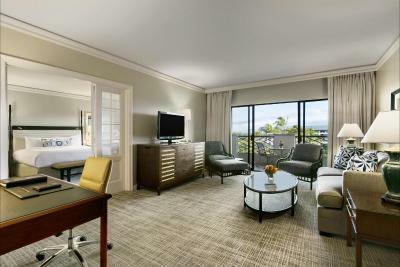 This room is located on higher floors with features a view of the ocean. 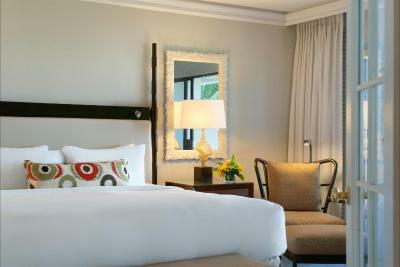 House Rules Fairmont Orchid takes special requests – add in the next step! 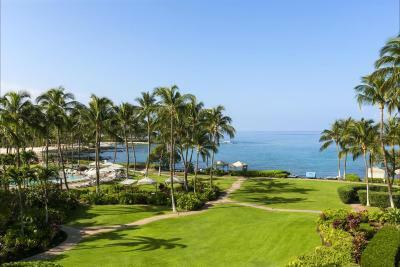 Fairmont Orchid accepts these cards and reserves the right to temporarily hold an amount prior to arrival. Cultural Activities, Shuttle Service and Snorkel Rentals are subject to space availability. The staff was extremely friendly, helpful, and polite. There was nothing we did not like. The hotel is far away from the scenic spot. We paid more for a partial ocean view room, which in the end didn't even have a view of the ocean. 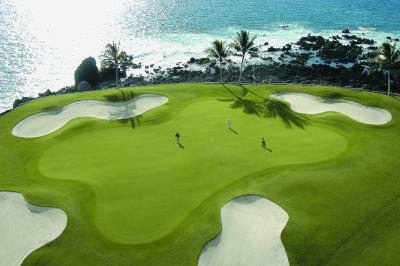 We were facing the golf course and you had to go out to the balcony and peek your head over to see some blue. Definitely not worth it. The food both in the hotel and nearby was outrageously expensive. Expect cocktails to be >$14, even for low-quality ones, and for each meal to be at least $100 for 2 people (for a very average amount of food). Natasha at front desk is very unfriendly. I booked exactly same type of room (ocean view) to extend our stay there and dropped by the front desk to renew the card. I told her that my husband is very sick in bed thus we cannot move to another room. But she still insisted us to move, saying she already checked in other client to our room and ask us to give out the room immediately and wait till 4pm for our next room! The problem was finally solved by other employee when I went back room and called the front desk. The only complaint I have, and it’s a minor one, is that non-motorized water sport (kayak, paddleboard, etc) should be free, or at least the 1st hour. But it’s only a minor detail. And also the price of food and drinks can add up pretty fast. 14$ for a Mai Tai for example. 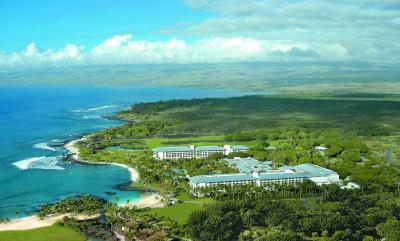 But this would not stop me from returning, it is Hawaii after all and in a beautiful resort. This hotel exceeded our expectations, what a great place for my wife and I for our first Hawaii vacation. I spend on average 12 days a month in hotel rooms because of my job so I know what makes or breaks a hotel. The Fairmont Orchid Resort was just amazing; the location, the friendly staff, the facilities, the sunset...everything was a 10! The only way you will find a nicer place is if you pay twice as much. Very expensive food and activities. Overall our stay was amazing and we would definitely return. Upon check out we were informed that we could have gotten a discount at the restaurants and spa because we are local. That would have been helpful information when we checked in not checked out....We'll know for next time. Everything costs extra and is really expensive. For example renting a stand up paddle costs $40. Outside of the hotel you will get this for about $10 - $20. Really beautiful hotel! 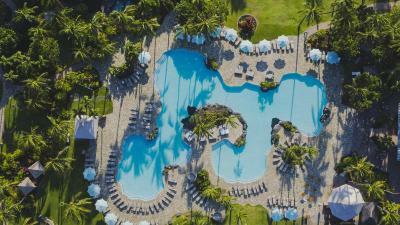 We particularly enjoyed the beautiful grounds including the pool and the beach. Also the beach at the hotel is a great place to go snorkeling, we saw 5 sea turtles and manta rays! Service was slow and good was very bad quality. I would definitely not eat at the hotel.